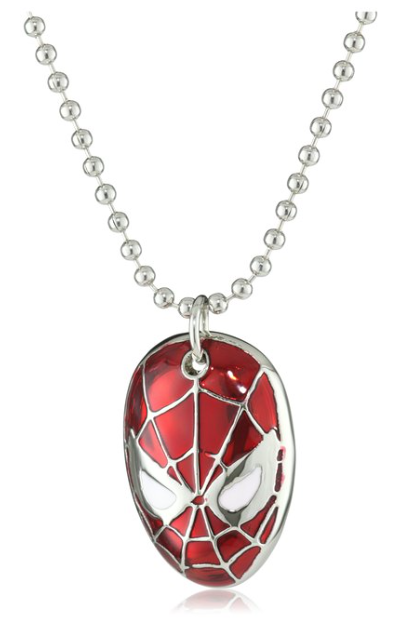 Marvel Comics Spider-Man Necklace Only $9.99 Plus FREE Shipping! You are here: Home / Great Deals / Amazon Deals / Marvel Comics Spider-Man Necklace Only $9.99 Plus FREE Shipping! It’s your Friendly Neighborhood Spider-Man! With a 30 inch chain, this necklace can be adjusted down to even wearable by kids! Get the Marvel Comics Spider-Man Necklace for Only $9.99 Plus FREE Shipping!